The Network Against Repression (Chiapas), the We are Not Everyone (No estamos Todos) work group and the Space for Struggle Against the Forgetting and Repression declared: “The bad government finally complied with the July 13 decision of the judge of the Tuxtla Gutiérrez tribunal concerning a court order, promoted by Frayba, which declared Alberto’s transfer to the maximum-security prison at Guasave, Sinaloa” unacceptable. (This decision had been published by the federal General Direction of Judicial Statistics, and not in the Official Daily, as was recently reported here erroneously). Nevertheless, “the struggle continues,” they insist: “Alberto and other indigenous brothers remain prisoners in Chiapas; we must remain organized for his immediate freedom” and that of Rosario Díaz Méndez (both of the Voice of El Amate), Francisco Sántiz López (EZLN support base), Pedro López Jiménez, Alfredo López Jiménez, Rosa López Díaz, Juan Collazo Jiménez, Alejandro Díaz Sántiz, Enrique Gómez Hernández and Juan Díaz López (in solidarity with the Voice of El Amate); besides Antonio Estrada Estrada, Miguel Vázquez Deara and Manuel Demeza Jiménez (prisoners from the San Sebastián Bachajón ejido). From the brown heart of El Barrio, New York, receive affectionate greetings and an urgent proposal of struggle on behalf of Movement for Justice in El Barrio, The Other Campaign New York. Today, with urgency, we are called upon to mobilize, with our whole being, solidarity and support for our Zapatista sisters and brothers of the community in resistance of San Marcos Avilés and for the Zapatista political prisoner Francisco Sántiz López: Responding to the numerous denouncements and calls issued by the Good Government Council of Oventic and the community of San Marcos Avilés, we stand in solidarity with them and add our echo to their dignified “ENOUGH!” against the recent attacks that the Zapatista support base members, the essence of the Zapatista Movement, are facing. Particularly, this convocation seeks to anticipate and prevent further violence against San Marcos Avilés at the hands of local political party members who have, during the past few days, made renewed threats. These individuals are the “strong arm” of the region’s dominant political parties. They have of late revealed their plan to displace our sisters and brothers of the Zapatista support base. According to recent threats, these enemies of the people intend to kidnap Zapatista community authorities and, in turn, violently displacing other Zapatistas from their community. 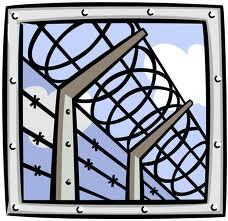 They have stated, additionally, that they will incarcerate anyone who continues to denounce these unjust aggressions. 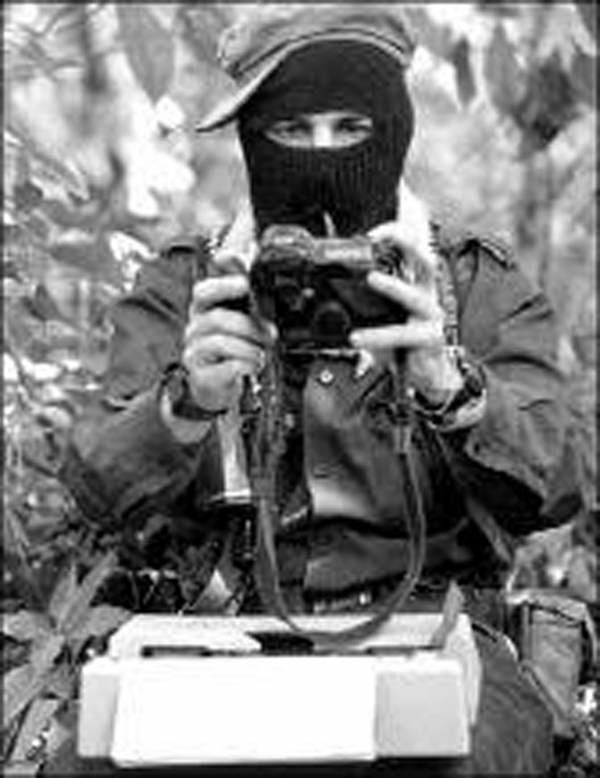 We stress here that these attacks are not isolated incidents, but rather are integral components of the prolonged war of extermination that the bad government of Mexico, together with capitalist interests, has carried out for the past 18 years to wipe out the Zapatista movement and all it has given to the world. Repression, violence, and death are meted out by the bad government of Mexico to those who resist this, who defend their lands, their identities, their cultures, and autonomy – their very existence. The Zapatista ejido and community of San Marcos Avilés, which is made up of Tzeltal indigenous people, has endured an unending nightmare of terror since 2010, when the community’s autonomous school, “Emiliano Zapata,” was constructed as part of the Zapatista Rebel Education System—constituting a major step forward in the community’s advance towards autonomy. During the past two years, this community has suffered various forms of extreme violence, including death threats, harassment, plunder, sexual aggression (including attempted rapes), forced displacement, and others, at the hands of members of the Institutional Revolutionary Party (PRI), Party of the Democratic Revolution (PRD), and the Green Ecological Party (PVEM) of Mexico, and their armed attack groups. Similarly, our compañero Francisco Sántiz López, also an indigenous Tzeltal-speaker and Zapatista from Chiapas, has remained unjustly imprisoned since December 4, 2011, for false crimes that he never committed. 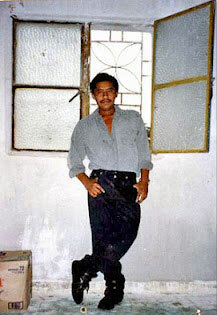 His only “crime” is that of being a member of the Zapatista support base. Today he remains a hostage of the bad government of Mexico in its war against all Zapatistas. This campaign is distinguished for its “two-pronged” strategy, and will consist of two interrelated phases. The first phase, which is called “Walking the True Word,” will span the entire month of August and has as its principal objective the dissemination of information within our respective communities, neighborhoods, ejidos, networks, and countries regarding the current situation of absolute injustice occurring in San Marcos Avilés and the case of the unjust imprisonment of Francisco Sántiz López. To this end, we propose that around the world, from the smallest community to the largest metropolis, we concentrate our organizing efforts and resources on raising consciousness in our communities and networks by forming Committees of the True Word as a way to effectively disseminate critical information regarding the current situation of San Marcos Avilés and the unjust incarceration of Francisco Sántiz López. · These “Committees of the True Word” will serve as seeds that will sprout roots in distinct and common lands to grow consciousness, knowledge, and more than anything, rage and inspiration to take concrete action in support of our sisters and brothers of San Marcos Avilés and Franisco Sántiz López. · Each committee will seek to disseminate and promote widely the current situation of San Marcos Avilés and Francisco Sántiz López, as they are both are Zapatista support base members. Of particular priority is reaching out to people who are unfamiliar with the history of the Zapatistas. Everyone should know this history of profound pain, hope, and inspiration. · It is not necessary to belong to an organization or collective. In this campaign, we can all form a committee on our own and be supportive. Committees can be formed with friends, co-workers, neighbors, or relatives. · If you are already a member of an organization, association, collective, labor union, group, team, club, etc., you can form your own committee with your fellow members. · During this first phase, to be clear, the Committees of the True Word can organize a wide range of activities to accomplish our goal. Among the numerous options include: public forums, distributing informative fliers and pamphlets, teach-ins, publishing articles, reflections, and denouncements, translations, social media initiatives, artistic works, etc. The possibilities are endless. 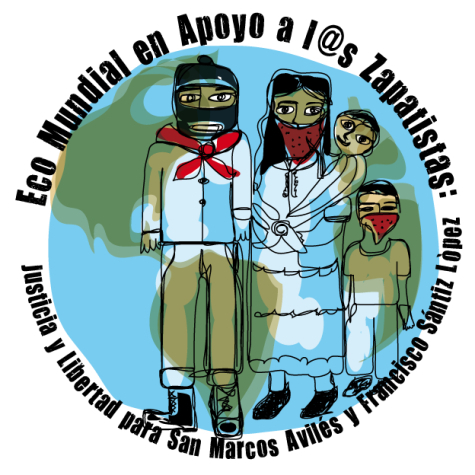 · We invite all those from below to come together to support our Zapatista sisters and brothers of San Marcos Avilés and our brother Francisco Sántiz López who are all fighting for our shared liberation. · Form your Committee of the True Word now! We believe that the true word and knowledge are very important for the struggles of those from below—it is not only the task of the independent/alternative media to circulate truth, but rather it is the responsibility of us all to do so. Moreover, we believe that this phase of consciousness-raising is particularly important, especially in light of the fact that our compas from San Marcos Avilés are suffering this violence for being indigenous, for being Zapatistas, and for having opened their autonomous school. Education and knowledge are also tools and weapons in the struggle for justice, dignity, and democracy—they are nothing less than the forms in which we will construct this new world we seek. Please contact us if you wish to obtain a high quality version of the video suitable for public screenings. Following the lead of the community of San Marcos Avilés and the Good Government Council, the goal of this phase is to imbue with knowledge the hearts of as many people as possible, and to bring awareness to the world regarding the constant government-backed violence and the resistance of the dignified people. Immediately after this intensive educational phase, there will be a phase of direct action. 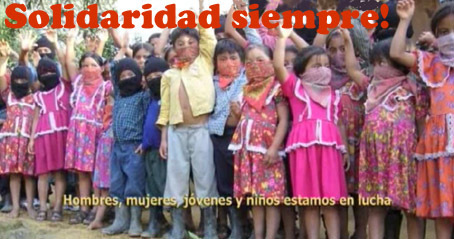 · AN END TO THE WAR AGAINST THE ZAPATISTAS OF SAN MARCOS AVILÉS. · IMMEDIATE FREEDOM FOR OUR ZAPATISTA COMPAÑERO FRANCISCO SÁNTIZ LÓPEZ. The gravity of these two situations cannot be ignored. As part of the global struggle for justice, dignity, and democracy, we must respond with open hearts. Long live The Other Campaign! Desde el corazón moreno de El Barrio, Nueva York, reciban cariñosos saludos y una urgente propuesta de lucha de parte del Movimiento por Justicia del Barrio, La Otra Campaña Nueva York. Hoy día nos urge movilizar con todo nuestro ser la solidaridad y apoyo a nuestr@s herman@s zapatistas de la comunidad en resistencia de San Marcos Avilés y al preso político zapatista Francisco Sántiz López: Respondiendo a los varios llamados de parte de la Junta de Buen Gobierno con sede en Oventic y de la comunidad de San Marcos Avilés, nosotr@s nos solidarizamos con ell@s para agregar nuestro eco solidario a su digna “¡YA BASTA!” en contra de los recientes ataques que enfrentan las bases de apoyo zapatistas, parte fundamental del movimiento zapatista. Especialmente, esta convocatoria busca anticipar y prevenir la violencia en contra deSan Marcos Avilés que los partidistas locales han amenazado estos últimos días. Ellos, que son el brazo de los partidos políticos dominantes de la región, han revelado su plan de desplazar nuevamente a nuestr@s herman@s bases de apoyo zapatista. Recien amenazaron, estos enemigos del pueblo, de secuestrar a l@s autoridades comunitarios zapatistas y violentamente desalojar a l@s demás compas de su comunidad. Dicen, además, que encarcelarán a tod@s l@s que siguen denunciando estos actos agresivos e injustos. Que quede claro que estos ataques no son aislados, sino son parte principal de la guerra de exterminio alargada que el mal gobierno de México y la ambición capitalista, mano a mano, han venido realizando durante estos últimos 18 años para aplastar el movimiento zapatista y todo lo que regala al mundo. Su próposito ha sido y es cumplir con el proyecto colonial y destruir a toda costa la autonomía y resistencia indígena, apoderarse de sus tierras ancestrales, y de este modo, explotar los recursos naturales que provee la Madre Tierra para el propio y exclusivo beneficio de los de arriba. A l@s que luchan contra eso, a l@s que defienden sus tierras, sus identidades, sus culturas, y su autonomía – su proprio ser – se les ofrecen la represión, la violencia, la muerte por parte del mal gobierno de México. El ejido y comunidad zapatista tzeltal de San Marcos Avilés, desde finales del año 2010, ha vivido una pesadilla interminable de terror principalmente por haber avanzado en su proceso autonomico, abriendo la escuela autónoma “Emiliano Zapata” como parte del Sistema Educativo Rebelde Autónomo Zapatista (SERAZ). A través de estos dos años, esta comunidad ha padecido formas de violencia extrema​ tales como: amenazas de muerte, hostigamiento, despojo, agresión sexual (incluso violaciones intentadas), desplazamiento forzado, entre otras a manos de miembros del Partido Revolucionario Institucional (PRI), Partido de la Revolución Democrática (PRD), y Partido Verde Ecologista de México (PVEM), y sus grupos de choque armados. Asimismo, el compañero Francisco Sántiz López, indígena tzeltal y zapatista de Chiapas, ha estado encarcelado injustamente, por crimenes que nunca cometió, desde el 4 de diciembre de 2011 por ser base de apoyo zapatista. Hoy permanece como rehén del mal gobierno de México, en su guerra en contra de tod@s l@s Zapatistas. Es claro que la violencia ejercida en contra de San Marcos Avilés y Francisco Sántiz López se basa en una sola raíz. Recientemente, la comunidad de San Marcos Avilés ha reportado que las amenazas en su contra se han aumentado de forma alarmante estos últimos días. Esta campaña se diferencia por su “doble” estrategia y consistirá en dos etapas entrelazadas. La primera etapa, que se llama Caminando La Palabra Verdadera, durará el mes entero de agosto y tiene como objetivo principal la intensa promoción de la campaña y amplia difusión de información entre nuestras comunidades, barrios, ejidos, redes, y países respectivos sobre la situación actual de injusticia absoluta que se enfrenta en San Marcos Avilés y el caso de encarcelamiento injusto de Francisco Sántiz López. Para eso, proponemos que en todas partes del mundo, desde el pueblito más pequeño hasta la urbe más grande, tod@s concentremos nuestros esfuerzos organizativos y recursos en levantar la conciencia de nuestros pueblos, comunidades, y redes, formandoComités de la Palabra Verdaderapara poder compartir de manera eficaz información crítica sobre la situación actual de San Marcos Avilés y Francisco Sántiz López. · Estos “Comités de la Palabra Verdadera” serán como semillas que alcanzarán a suelos distintos y parejos para germinar conciencia, conocimiento, y, más que nada, rabia y ganas de tomar acción para apoyar concretamente a nuestr@s herman@s deSan Marcos Avilés y Francisco Sántiz López. · Cada comité tendrá como meta la difusión y la promoción amplia de la situación actual de San Marcos Avilés y Francisco Sántiz López, ya que ambos son bases de apoyo zapatistas. Alcanzar a personas que desconoce la historia de l@s zapatistas es también de prioridad. Todo el mundo debe de conocer esta historia de dolor, esperanza, e inspiración profunda. · No es necesario pertenecer a una organización o colectivo. Tod@s podemos formar un comité de la nada y apoyar en esta campaña. Puedes formar tu comité con tus amig@s o compañer@s del trabajo, l@s vecin@s o familiares. · Si ya eres integrante de una organización, asociación, colectivo, unión laboral, grupo, equipo, club, etc., puedes formar tu propio comité con tus compas de cualquier agrupación que pertenezcas. · Durante esta primera etapa, se les recuerda que los Comités de la Palabra Verdadera pueden organizar numerosas y diversas actividades para lograr nuestra meta. Entre ellas incluyen foros públicos, muestra de videos, repartición de volantes educativos, concentraciones informativas, publicación de artículos, reflexiones, y denuncias, traducciones, comunicación por redes sociales, obras artísticas, etc.Las posibilidades no tienen limites. · Invitamos a tod@s l@s de abajo para que junt@s y unid@s apoyemos a nuestr@s herman@s zapatistas de San Marcos Avilés y nuestro hermano Francisco Sántiz López que están luchando por nuestra liberación compartida. · ¡Forma tu Comité de la Palabra Verdadera ya! Creemos que el conocimiento y la palabra verdadera son de suma importancia para todas las luchas de l@s de abajo—no solo le toca a los medios de comunicación alternativos dinfundir la verdad, sino también es responsibilidad de tod@s hacerlo. Además, creemos que esta etapa de concientización es particularmente importante, ya que nuestr@s compas de San Marcos Avilés padecen esta violencia principalmente por ser indígenas, zapatistas, y por haber abierto su escuela autónoma. La educación y el conocimiento son herramientas y armas en la lucha por justicia, dignidad, y democracia—son nada menos que las formas en que vamos a construir este mundo nuevo que queremos. Favor de comunicarse con nosotr@s si desean una copia de alta calidad del video para hacer una presentación de película. Bajo el liderazgo de la comunidad de San Marcos Avilés y de la Junta de Buen Gobierno, la meta de esta primera etapa es llenar de conciencia a los corazones de tanta gente que nos sea posible y que el mundo se conozca la violencia constante por parte del mal gobierno y la resistencia del pueblo digno. Después de esta etapa intensa de educación popular, vendrá una etapa de acción más directa. · ¡QUE PAREN LA GUERRA EN CONTRA DE L@S ZAPATISTAS DE SAN MARCOS AVILÉS! · ¡QUE LIBEREN DE INMEDIATO AL COMPAÑERO ZAPATISTA FRANCISCO SÁNTIZ LÓPEZ! La gravedad de estas dos situaciones entrelazadas no se puede ignorar. Como parte de la lucha mundial por justicia, dignidad, y democracia, nos tocar responder con el corazón abierto. Porque el digno grito humanizador de “¡YA BASTA!” nos ha afectado a tod@s l@s que luchamos de todas partes de nuestro planeta tierra, desdenuestras respectivas trincheras, conectando a luchas muy distintas y parecidas… Porque ese mismo grito ha habitado en nuestros corazones al lado de la alegria y la esperanza… Haremos eco a ello, aportartando nuestra voz, nuestro rostro, para hacer que se escuche infinitamente más fuerte… Como si fuera en lengua de nuestro ser. ¡QUE VIVA LA OTRA CAMPAÑA! ALBERTO IS BACK IN CHIAPAS! THE STRUGGLE CONTINUES! Alberto Patishtán is back in Chiapas! The struggle continues! 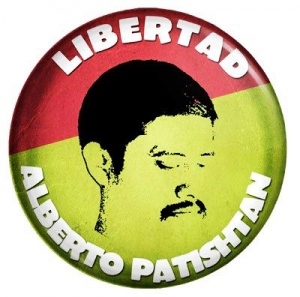 Alberto Patishtán, emblematic political prisoner of Mexico and comrade, founding member of the “Voz del Amate” (Voice of Amate) organization and part of the Other Campaign, was returned just a few hours ago to the prison known as CERSS No. 5 in San Cristóbal de las Casas, Chiapas. He was taken out of there in the early morning hours of October 20, 2011, in the middle of a hunger strike that he was waging along with his comrades, “los Solidarios de la Voz del Amate” (Solidarity Prisoners, Voice of Amate). The vile government is finally abiding by the ruling issued on July 13 by the judge in the court at Tuxtla Gutiérrez, granting a protective order sought by the Fray Bartolomé de las Casas Center for Human Rights on the basis that Albert’s transfer to the maximum security prison at Guasave, Sinaloa was unacceptable. 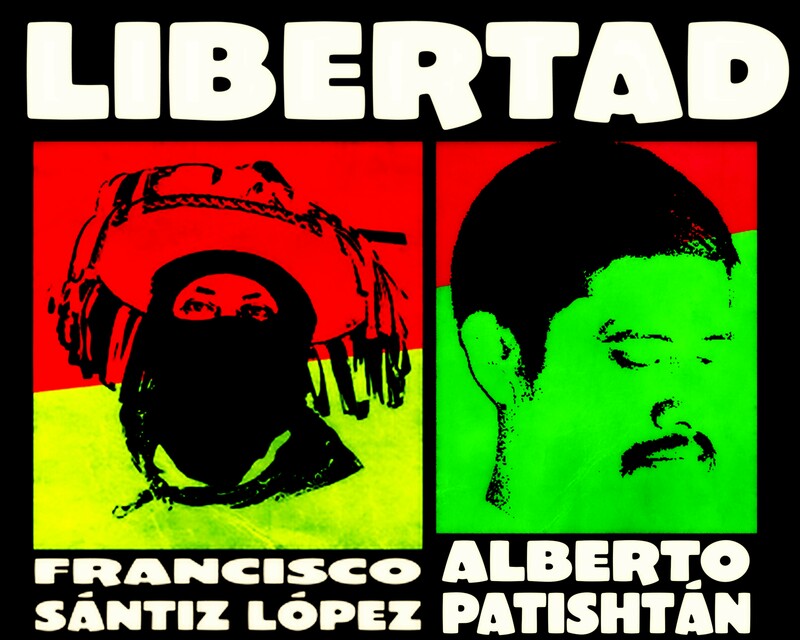 After being away for more than 9 months, professor comrade Alberto Patishtán is back in the prison where he shares a cell, meals, meetings, projects, cheer, hopes and dreams with his comrades in struggle, including Francisco Sántiz López of the EZLN Bases of Support. His family no longer has to travel 2200 kilometers to visit him. At last we can hug him and listen to his wise encouraging words. It is only half a victory because there was no justification whatsoever for Alberto to be punished with this transfer orchestrated by the Mexican State at the behest of Chiapas Interior Minister Noe Castañon. And what’s more, there is no justification whatsoever for holding Alberto behind bars. He is an elementary school teacher and social activist snatched from his Tsotsil hometown, El Bosque. There, they are waiting for him to come home. They demand it…We demand it. But Alberto’s return to Chiapas is the result of a coordinated global effort by people ranging from his own family members to comrades in the far corners of the planet; from many anarchist groups to human rights defenders and other supporters including all the organizations of the Other Campaign; from his town in the mountains to the barrios of New York City, with a symbolic detour through Palestine. Among us all, we showed that Justice is woven into the social fabric, exercised, and even imposed on those at the top of the heap by the struggle from below. From the bottom of our hearts, with something of a sense of amazement, we want to thank each and every person that has taken part in the different campaigns for Albert’s freedom and that of the other political prisoners. As the comrades from the Other New York suggested, all of us together have torn down a little piece of the slammer. San Cristobal de las Casas, Chiapas. July 26. Tzotzil Professor Alberto Gomez Patishtán was returned unexpectedly today to Chiapas, and tonight is already in the prison of this city. After 12 years in prison, he was for 10 months in a federal prison in Guasave, Sinaloa. The demand for his return to the state and his immediate release has grown steadily in recent months. The Fray Bartolome de las Casas Human Rights Centre confirmed this [transfer] had taken place, noting that, however, justice will only be done through the immediate release of Patishtán, as he is currently enduring a sentence of 60 years for crimes it has been prove he did not not commit. 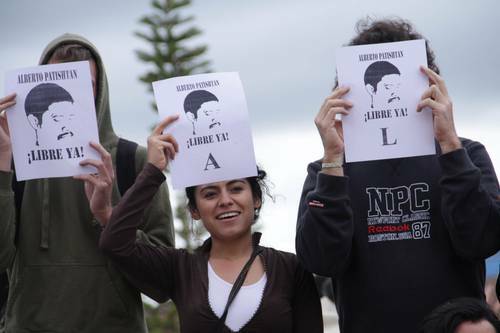 Actions and protests at Mexican embassies and consulates in various cities around the world, as well as in Mexico, have demanded his release. For now, Professor Patishtán is back to the prison situation he was in last October. More than 200 people from some 15 countries also signed [the letter], including the analyst Raúl Zibechi, the thinkers Gustavo Esteva and John Holloway, the journalist John Gibler, the photographer Heriberto Rodríguez, the Peruvian campesino leader Hugo Blanco and the anthropologist Gilberto López y Rivas. In a video released last night, the indigenous, with faces covered, argue in Tzeltal in favour of autonomous education: “We give a lot of importance to the school. We want there to be good teaching for the children, good learning, a good example. We see that the government has its schools, but it is not a good education, nor do they teach our children well, and what they teach has nothing to do with us. So we opened our own school.” This gave the government supporters a pretext to attack the Zapatista families and expel them in 2010, after classes were started on August 16 of that year. English translation by the Chiapas Support Committee for the International Zapatista Translation Service. Receive strong embraces from Movement for Justice in El Barrio, The Other Campaign New York. By way of the following, we share with you and make public a new and extremely urgent video message from the Zapatista community in resistance of San Marcos Avilés. In this message, our sisters and brothers of this community of Chiapas recount with words and faces full of emotion and rage the history of the nightmare that they are currently living. This nightmare began after the opening of the community’s autonomous school in 2010. They passionately denounce the constant acts of aggression and terror carried out by attack groups of the dominant political parties in the region. These groups seek to squash the Zapatista movement and its struggle for justice, dignity, and autonomy. 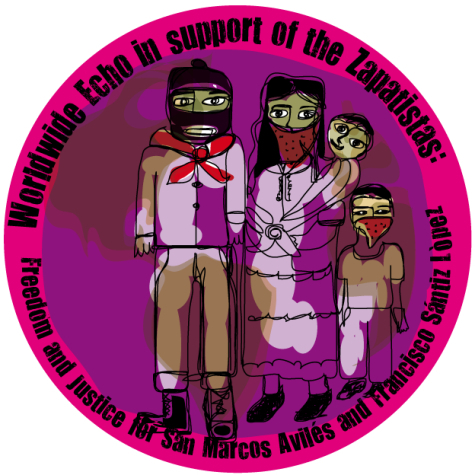 Additionally, in the video message, our Zapatista comrades from San Marcos Avilés send special messages to the world – particularly to women, political prisoners, and all dignified communities. They issue an urgent call for national and international support and solidarity with their community, in light of the alarming escalation of threats and hostility. Shortly after the production of this video message, particularly in the past few days, more threats against the Zapatista support base members have taken place in San Marcos Avilés. The culprits remain an attack group of political party members, who have stated that they will kidnap authorities of the Zapatista community, and in this way, forcefully displace the support base members from the ejido. They have also made threats against those who denounce these acts of aggression and harassment, claiming that they will incarcerate them. It is feared that another widescale displacement of the community, similar to the one that took place in 2010, will occur. The federal government and the government of Chiapas must respond, within 24 hours, to the federal judge’s decision that ordered the return of Professor Alberto Patishtán Gómez to a state prison. The agreement is now published online, and appeared in the Official Journal of the Federation last Tuesday. Nevertheless, authorities have opted to delay the issue arguing that they have not physically received the agreement, sent by ordinary mail to the ministries of Interior and Federal Public Security, as well as to the prison in Guasave, Sinaloa, where the Chiapan teacher is being held in seclusion, and to the state prison authorities. In the follow up to the protective order filed by the Fray Bartolomé de las Casas Human Rights Center (Frayba) against Patishtán’s unjustified transfer to a federal prison in Guasave last October, that same Centre reports that the Collegiate Circuit Tribunal of the Eighth Region’s Auxiliary Centre, based in Cancún, Quintana Roo, affirmed the decision in which the protective order was conceded, now one month ago, to the Tzotzil professor, an adherent to the Other Campaign and a member of the Voice of El Amate (la Voz del Amate) prisoners’ organization. On July 17, Frayba adds, “the fifth district judge in Chiapas announced that he asked the responsible authorities to report within a period of 24 hours about the compliance which is being given to the execution of the decision,” which obliges the authorities to return the prisoner to the State Centre for Social Reinsertion of those Sentenced (CERSS) Number 5, in San Cristóbal de Las Casas. The Tzotzil teacher, who has spent 12 years behind bars, was sent to the Federal Center for Social Reinsertion (Cefereso, its Spanish acronym) Number 8, in Guasave, at the request of the Chiapas government, when he was participating in a fast and hunger strike by prisoners who were demanding their freedom, because they consider they have been unjustly incarcerated. Their demand has attained national and international reputation and support, together with the demand to also free Francisco Santiz López, a support base of the Zapatista National Liberation Army. Until now, neither the federal authorities nor the Chiapas government has responded in that regard, much less obeyed the decision. The defence for the prisoner of conscience and promoter of the prison population’s human rights considers that the authorities seek to delay as much as possible their compliance with the judicial order. They allege that they must receive the notification by ordinary mail, and then respond by that same means. If each sending takes at least 5 days, two weeks or more can easily pass before the judge’s order becomes effective. The 24 hours would begin to run as of then. The basic demand, that is, the definitive release of Patishtán, will continue pending for an undetermined time. The following is the worldwide declaration demanding the release of Francisco and Alberto. Below you will find the organizations that signed the declaration. We thank the people of good heart from different corners of the earth that sent their signatures of support and solidarity. Rural and indigenous communities are organizing against megaprojects that cause the looting and destruction of their territory. Here is a selection of some of the most relevant cases. The old KN spinning and weaving factory…now donated for a Soriana supermarket. Everything indicates that the Soriana supermarket chain will finally be able to build a branch in this city, because until now the San Cristóbal population had managed to stop it despite strong support from the state government for the plans of the company, which has a significant presence in other Chiapas cities. The state Secretary of Economy, Claudia de los Ángeles Trujillo Rincón, confirmed today to the local press Mirada Sur that in San Cristóbal de Las Casas, in the old lands of the KN yarn and textile factory, a Soriana store will be built. The official affirmed that the project has all the permits for being realized. Nevertheless, the PAN council member on the city council, Fabiola Ricci, denied that permission for change of land use has been granted to the Soriana store owners. The installation of said supermarket has been controversial for some time now. A couple of years ago, the state government (and the past PRI municipal president, Mariano Díaz Ochoa) promoted handing over to the company the current municipal sports fields, known as “Sedem,” on one side of Juan Sabines Gutiérrez Boulevard that crosses the city. Great land, centrally located, accessible to the public, and also bordering one of the last wetland areas that the successive “pro-development” city councils have left alive. Unusually, athletes, parents and neighbors organized against the measure and succeeded in stopping it, but not before rejecting the offer of new and better-equipped installations somewhere on the periphery. They thus saved a landmark of the social identity of San Cristóbal. Although for other reasons, the proposed new location also turns out to be controversial. The buildings that the then successful impresario Kamel Nacif constructed a decade ago, before the scandal of the precious governor and the persecution of the journalist Lydia Cacho, were already demolished. It was a textile factory, a “great achievement” of the Pablo Salazar Mendiguchía government as a generator of jobs, but one which had a short life. 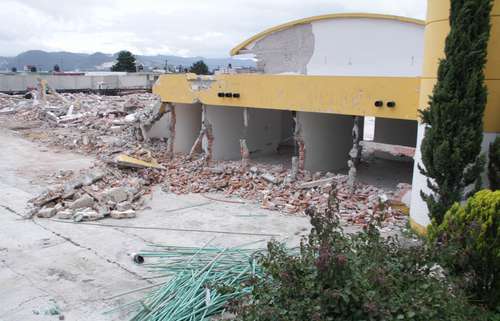 Located at the entrance to San Cristóbal in the direction of Tuxtla Gutiérrez, it was a ghost building until the previous municipal government tried to move its offices there, and partially did so. The current city council, presided over by Cecilia Flores of the PRD, stopped this move. The former KN sweatshop was finally demolished in recent weeks. Although no official announcement has been made, citizens groups and civil organisations like Otros Mundos, Colectivo de Mujeres (Colem), Women of Corn in Resistance and Yashil Antzetik; businesses like Café Sorbo and Aroma, as well as vox populi (taxi drivers, gas stations, neighbors) assume that the company will build a store on that piece of land. The company showed in recent years that it was allied with Juan Sabines Guerrero’s government, here and in other states where it promotes the “Chiapas brand,” prominently in Coahuila. Among the arguments that are being used against it is to point out the fact that San Cristóbal, with less than 200,000 inhabitants, already has two other large department stores (Wal-Mart and Chedrahui), which are not only “sufficient,” but are also considered a threat to local businesses and farmers. Mexico, Jul 16 (Prensa Latina) Ecosystems of the Mexican state of Chiapas are seriously threatened today, because the degradation process is very fast at this moment and, therefore, global warming seems irreversible, warned an expert. The drought is warmer, the cold season is becoming more intense, and the rainy season in less time is more intense and dangerous, affirmed Alejandro Hernandez, coordinator of the Nature Conservancy Watershed Strategy (TNC) for Chiapas and Central America. The specialist stressed the need to improve production systems, soil and water conservation, climate change position, create a fund for strategic watershed restoration, among other measures. In an interview published by La Jornada, Hernandez said the risks of flood with reforestation must be reduced and care of ecosystems, which in turn play a role in water regulation, in soil preservation. He noted that unfortunately with the loss of forest during the rainy season water pollution increase and costs of treatment rise. The environmentalist said that there is a steady loss of forest cover and or what we have not understood is that forests feed us and provide oxygen, play a predominant role in the welfare of mankind.